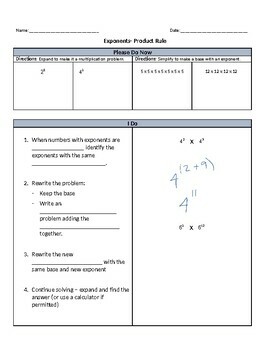 This exponent lesson is designed to ease students into working with the exponent rules. 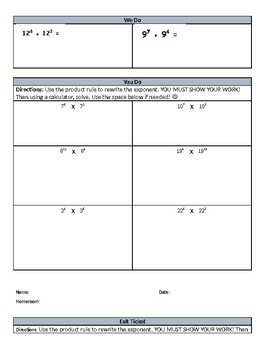 It is perfect for reteaching or remediation for students who struggle to understand exponent rules! 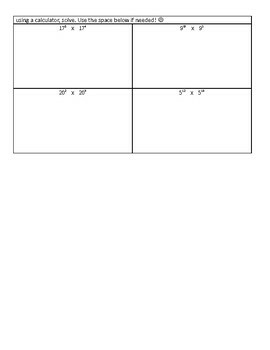 This can be the second in a series of exponent lessons working through all the laws of exponents. It can be taught and practiced, start to finish in about 30 minutes. Answers are provided in comments of word document.